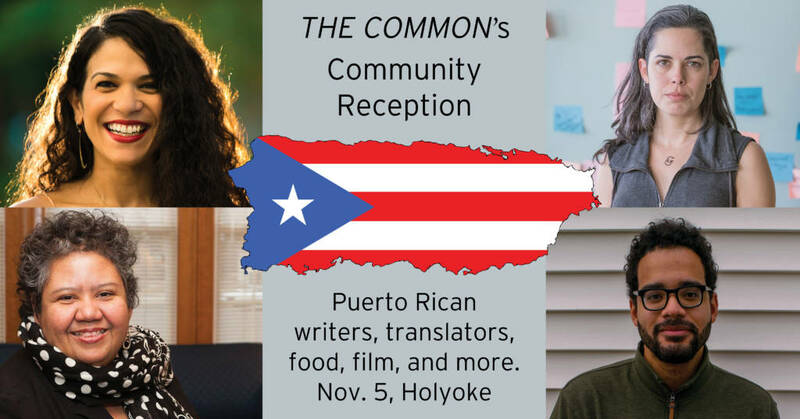 Join The Common for a Puerto Rican meal, and stay to hear writers and translators Ana Teresa Toro, Sergio Gutiérrez Negrón, María José Giménez, and María Luisa Arroyo Cruzado discuss their work in The Common‘s special portfolio: De Puerto Rico: Un año después de la tormenta/ From Puerto Rico: One Year after the Storm. Filmmaker Michelle Falcón will showcase her documentary film PROMESA, which tells the stories of people affected by Puerto Rico’s economic crisis. The independent short documentary examines the economic crisis in Puerto Rico, before Hurricane Maria, by exploring how its colonial relationship with the US has had both political and personal impact on the islanders. 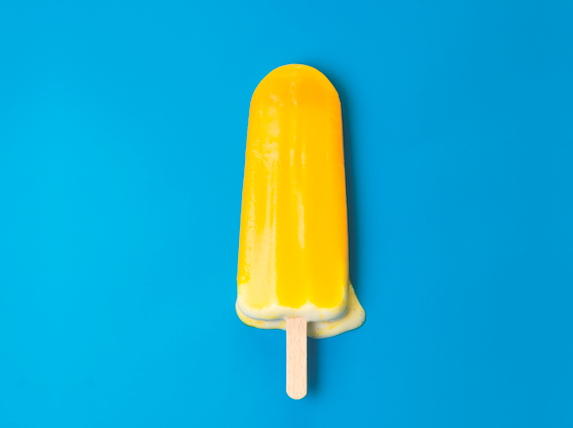 From this documentary, Reclaim Puerto Rico was created to help the Puerto Rican community overcome the Hurricane Maria devastation by awarding mini-grants to support entrepreneurship on the island. Donate to Reclaim Puerto Rico here. 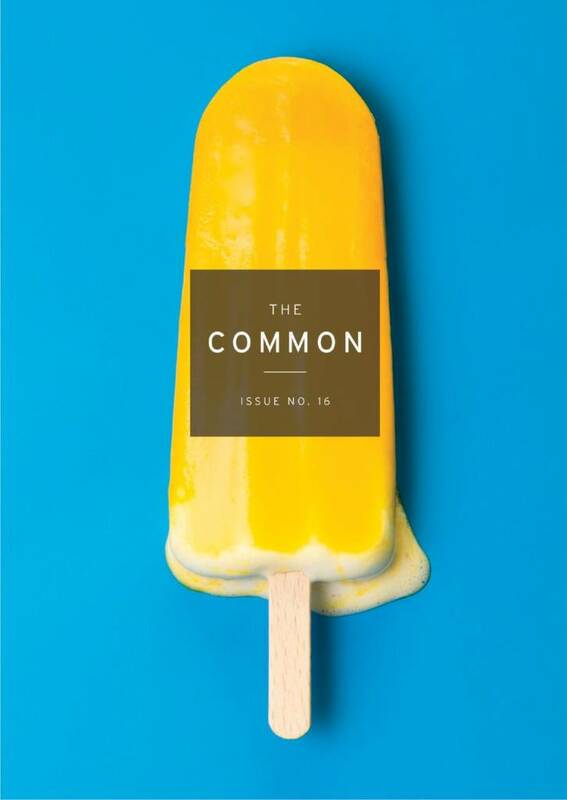 Join The Common to launch Issue 16, featuring readings by contributors to our special portfolio De Puerto Rico: Un año después de la tormenta/ From Puerto Rico: One Year after the Storm. Writers and translators Ana Teresa Toro, Sergio Gutiérrez Negrón, María José Giménez, Willie Perdomo, and María Luisa Arroyo Cruzado will read and participate in a conversation moderated by The Common Editor in Chief Jennifer Acker. Followed by a wine reception at 8:30. The event is free and open to the public. 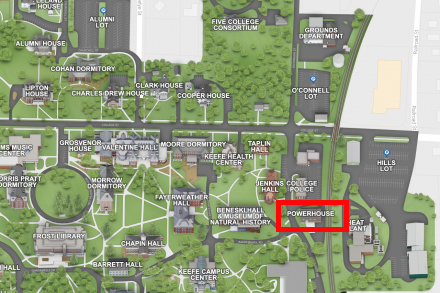 The event will be held in the Powerhouse, indicated on the map by a red square. This October 20-24, four members of AgitArte—Jorge Díaz Ortiz, Dey Hernández, Sugeily Rodríguez Lebrón, and Agustín Muñoz Ríos—will give a series of campus and community presentations based in their more than twenty years of collective, collaborative work. Their presentations will include Solidaridad y sobrevivencia para nuestra liberación/ Solidarity and Survival for Our Liberation a recent cantastoria created by Papel Machete, AgitArte’s theater collective, in the aftermath of Hurricane María, and End the Debt! Decolonize! Liberate! Scroll Project, a collaboratively produced, collectively experienced art object that visually unfurls a history of colonialism and resistance in Puerto Rico. 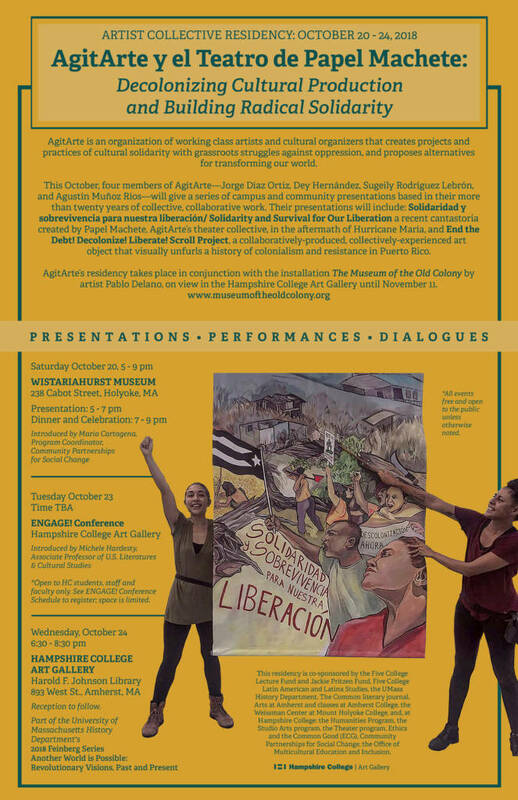 In addition to working with classes at Hampshire and Amherst Colleges, public events include a presentation (5-7pm) followed by a community celebration at Wisteriahurst Museum, 238 Cabot Street, Holyoke, MA on Saturday October 20, 2018, and a presentation (6-7.30pm) and reception at Hampshire College Art Gallery on Wednesday October 24, 2018. 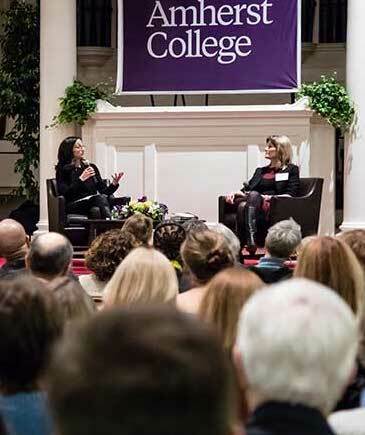 Amherst College's fourth annual LitFest will be hosted on February 27 – March 2 of this year. 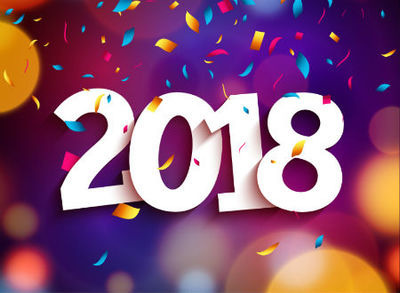 Co-hosted by The Common, this year's events feature panels with 2018 National Book Award Fiction Finalists Jamel Brinkley and Brandon Hobson, Pulitzer Prize-winning novelist Jennifer Egan, Pulitzer Prize-winning nonfiction author Elizabeth Kolbert, award-winning science writer Charles C. Mann, and more.